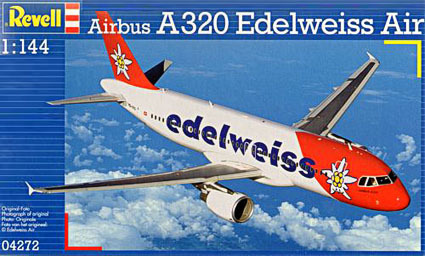 Originally schedualed as Edelweiss, but the airliner wanted to wait for one year before giving permission. Then Frontier was contacted, but at the end their 'copyright rep' wanted 15% royalties, so no-deal. Niki-Air was then announced, but due to a lack of communications this project was ended too. Revell went back to Edelweiss, explained all the problems and got finally a green light to do so.